Tialla, welcome to Homeschool Authors! Tell us a little bit about yourself. Hello! Thanks for having me. I’m a seventeen-year-old homeschool graduate. I published my book November of 2012, after working on it for four years. I live with my family in the mountains of Arizona, and I strive to glorify the Lord in everything I do! I love music, watching movies, fellowshipping with friends, and occasionally doing techie things like web and short video design. I obviously love reading and writing as well; my favorite moments usually find me with my nose in a book, iced coffee in my hand, and a storm outside my window! The homeschooling experience is different for everyone. What do you feel made your experience unique? My parents gave me the opportunity to choose my curriculum every year. I know that this is very rare for homeschoolers, and I can understand why. Most parents just choose the curriculum and many students don’t know what they’re doing until the first day of school. However, my parents involved me in the choosing process every year. They’d give me a list of different curriculum I could choose from for a certain subject. For example, for math I could choose from Saxon, Math-U-See, or Abeka. They would explain the pros and cons of each, and then let me choose which I wanted to do. In that way, I was still receiving the core subjects required, but I had a say in what was chosen. It definitely made me feel very involved in my schoolwork, and made the learning process a lot more fun! How has being homeschooled affected your writing? I am very certain that if I hadn’t been homeschooled, I wouldn’t have a published book today. Homeschooling helped give me the discipline necessary to write, edit, and publish a book. I was able to add writing to my school schedule, which definitely helped in consistent writing habits. My mom was able to count my writing as part of my English. Not only that, but the mere fact of being home allowed me to adjust my schedule to write for example, at ten o’clock in the morning, if I had a sudden epiphany for my book, I could stop the rest of my school and pull out my laptop to write. I could always finish up my school later on in the day. I’ve been writing since I was about eleven. A friend of mine and I were collaborating on stories. I’m not exactly sure how we decided to start writing stories, but it was fun exchanging our imaginings through email and encouraging each other we were always making up new worlds. During the next two years, our email exchanges slowed, but when I turned thirteen, I began writing Holding the Future Hostage with the serious intent to publish it. 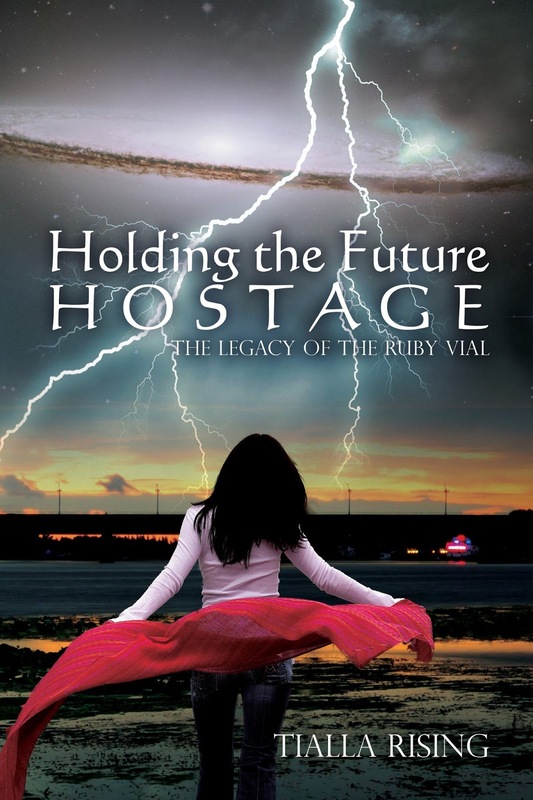 What inspired Holding the Future Hostage? I had a certain photo as my laptop wallpaper. This photo is now at the very back of my book, dubbed as The Stone Megalith. It pictures a huge rock formation in the center of a lake, surrounded by trees and other rocks. It is absolutely striking in color, and I was enchanted by it. One night, I was just looking at it, and I imagined a girl swimming in the water around it, and then diving underneath. I thought of a really great sentence, pulled up Microsoft Word, and typed it in. I was intrigued by it, and just kept writing. The plot formed as I wrote, and I’m still amazed that it turned out to be the story it is without any beforehand planning. It is available on Amazon, the CreateSpace e-Store, Kindle, my website (www.therubyvial.com), directly from me, Barnes and Noble.com, the Google bookstore, and virtually everywhere you can think of on the internet. A simple Google search will bring up SEVERAL websites that sell copies of it. Everyone. I wrote it with the mindset to target young adults, but people of all ages have enjoyed it. I’ve had eight-years-old to eighty-year-olds and everyone in between tell me how much they love it. Readers can find me on my website, my blog, Facebook, Google Plus, YouTube, Goodreads, and of course through email! My email is: therubyvial@commspeed.net. I just want to encourage all young writers to follow their style. It’s very tempting to look at your (successful) favorite author, and try to copy their style after all, the author succeeded that way (and you like it!). I believe that is where most writers get stuck (I have personally been there myself). You need to have FUN while writing. If you have a blast while writing, odds are other people will enjoy what you have written. You need to find what kind of style works for you, and go with it. It may not be the metaphor-filled, third-person, intricately-carved style that you love of your author. That’s alright your style will work so much better than trying to copy theirs. There isn’t any harm in taking note from your favorite authors in fact, I encourage you to do so just don’t try to conform to their style if it neglects your own. Also, have fun! If you don’t have fun while writing, it isn’t worth it. You’re supposed to have fun while crafting your story. There are tough parts, of course, but in the end, it should still bring a smile no, a grin to your face. 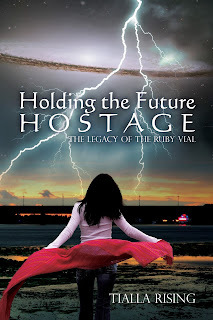 Enter to win a Signed copy of Holding the Future Hostage! This looks so interesting! I hope I get a chance to read it soon! I am also a (home schooled) teen writer and I'm working on a book that I hope to get published one day. It gives me a lot of hope to see that other teens have already done it! Your book looks excellent! One of my problems in writing is character development. What are some of the ways you avoided bland and extreme personalities with your own writing? What time of day do you usually write? @Joseph Fecteau - I was always scared that my characters were bland, and therefore asked my proofreader to especially help me in that area. However, she told me that it's one of my strongest points. I was a little surprised, and it kind of started me thinking. @Anonymous - I get the most writing done in the afternoon. I'm usually busy in the mornings and evenings, so afternoons are best! :) Thanks for your comment! @Hannah Wright - It took me four years to write HTFH. I know...a LONG time. It took one year for writing the first draft, two years for editing/revising, and the last year for publishing. Oh, my favorite part...that's hard. I suppose the moment when I realized it was all coming together, and that I actually LIKED the story was my favorite. It seemed to make it worth all the hard work and frustration. Thanks for asking! Did you share your book with your family as you were writing it, or did you make them wait until it was done? Your book looks lovely! If I don't win the giveaway, I'll be adding it to my "buy when I have the money" list! Question ... Um, what style to you feel most comfortable writing in, and would you change if a book decides that it wants to be written differently? 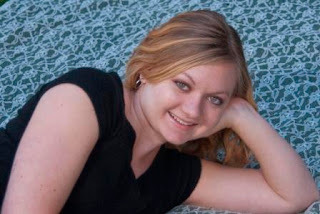 @Perry Elisabeth - My mom was a HUGE help to me while I was writing and editing my book, however, the rest of my family had to wait until it was published. :) My siblings were so anxious to read it...which made me all the more determined to make them wait. Haha! In retrospect, though, I'm hopefully going to have my Dad and older brother read my second book before I publish it - they have some great ideas that I would like to incorporate before it is published. Thanks for commenting! I feel most comfortable writing in first person point of view for my main character, and third person omniscient for everyone else. And...no I don't think I would change. I like writing that way. Unless I'm writing a book that's nonfiction or a biography or something, that is. Thanks for commenting!